Praised for his “responsive and measured” approach, Abdul is also regarded as someone who is a “thoughtful practitioner”. Abdul is praised for having “a very good appreciation of the commercial nature of litigation”. Abdul has an “ability to analyse difficult issues and provide concise and clear advice”. Abdul has over 15 years of experience of litigation, arbitration and contentious regulatory matters in London and Hong Kong. He has spent time on secondment to the compliance team of a wholesale bank. He has experience in advising on disputes relating to financial products and mis-selling, shareholder agreements, joint ventures and M&A transactions, regulatory investigations and disciplinary proceedings, complaints handling and compliance issues and internal investigations. 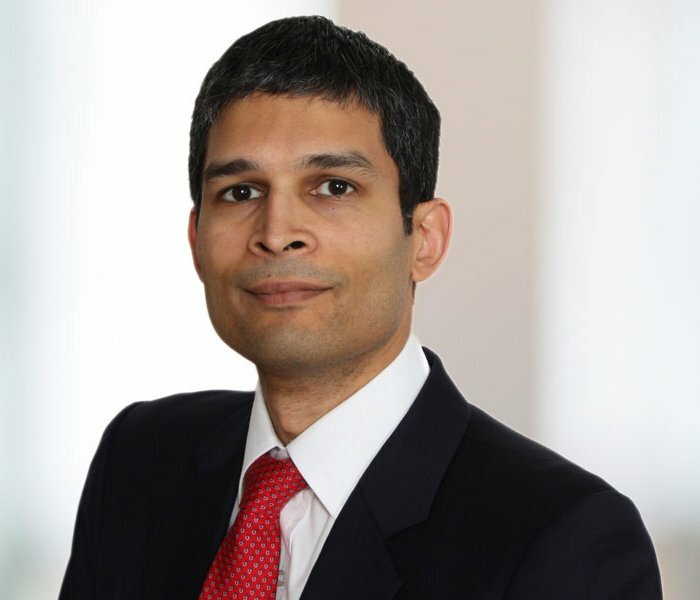 Abdul is regarded as a ‘Recommended Lawyer’ in The Legal 500 UK 2019 for Banking Litigation: Investment and Retail, Commercial Litigation and Professional Negligence. The Guide recognises him for his “ability to analyse difficult issues and provide concise and clear advice”, and that he has “excellent interpersonal skills, is very good with clients and a pleasure to work with.” Abdul is also praised for having “a very good appreciation of the commercial nature of litigation“, his “responsive and measured” approach and as someone who is a “thoughtful practitioner”. Chambers Global describes him as a “technically sound, sensible and robust litigator who always finds practical solutions”. Acting for a substantial property company in a Commercial Court claim against a large UK based banking group following the sale of interest rate swaps. The claim is based on allegations of misselling, misrepresentation, and bad faith. Advising a minority shareholder on remedies arising under a partnership agreement and a related shareholders’ agreement. Advising a corporate on its claims against an international banking group for alleged irregularities in the sale of various foreign exchange derivatives transactions. Assisting a financial institution to obtain freezing orders to preserve assets following a fraud by a former employee, including advising on civil recovery and ongoing criminal proceedings against the fraudster. Representing an investment fund in High Court professional negligence proceedings against a major international law firm arising out of French restructuring advice given in respect of a €20 million distressed loan. Advising a limited partner on claims against a general partner for breach of duties under a limited partnership agreement governing an investment fund. Advising an asset manager in defending a regulatory investigation into alleged improper market impact caused by end of day trading activity.